Now that 2019 is underway, you probably want to know what will be in style for spring summer 2020, right? You've come to the right place. 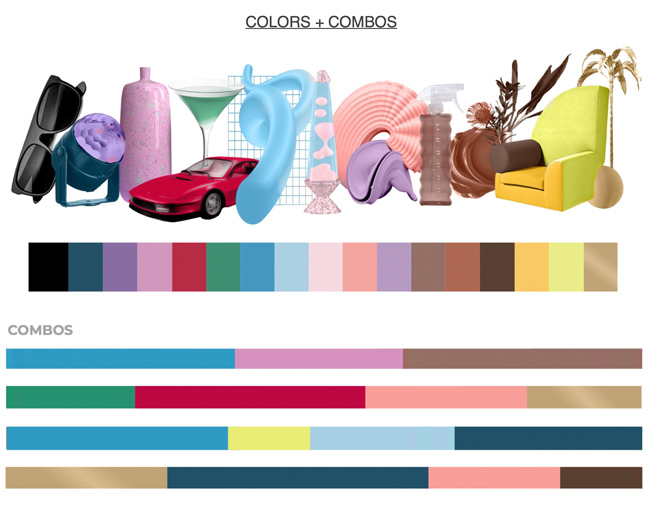 New York-based trend experts Fashion Snoops have released their four fashion trends for spring summer 2020, and I'll be sharing colors, materials, and patterns for each theme. 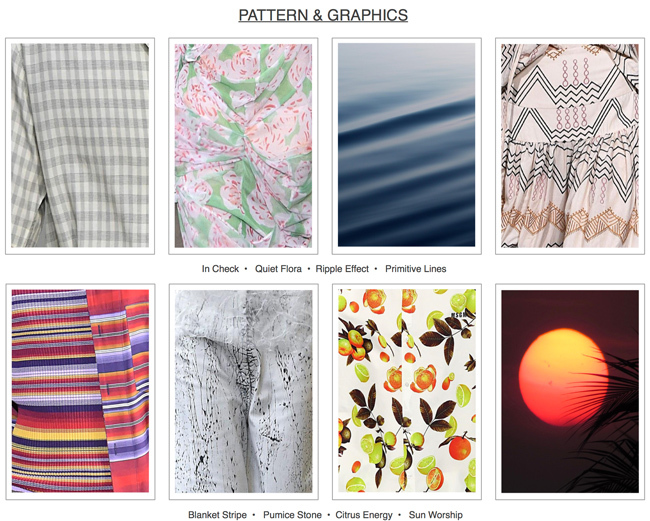 Are you seeking more fashion trend information? Follow my Insta stories @thekeytochic, my Facebook page, and my Pinterest trend boards, where you'll have access to emerging trends, personal style, outfit ideas, and exclusive shopping reports. Read about four women's denim trends for 2020. 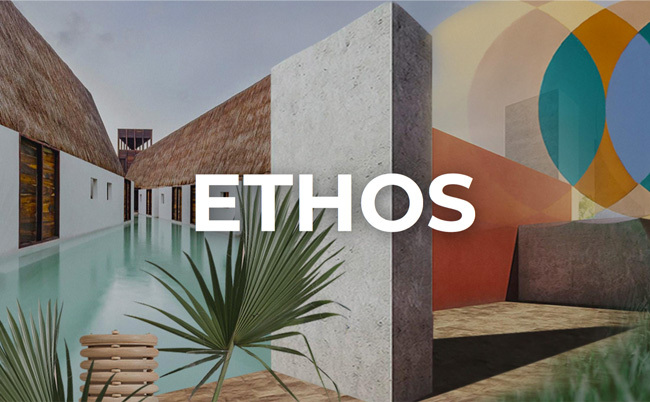 The four main themes for spring summer 2020 are: Genesis, Flash, Dose, and Ethos. 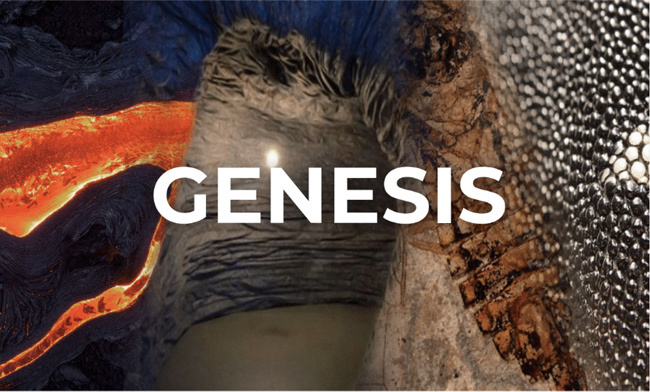 In Genesis, the unearthing of ancient burial sites and fossilized discoveries have sparked a fascination with the origins of primitive homosapians and prehistoric life. 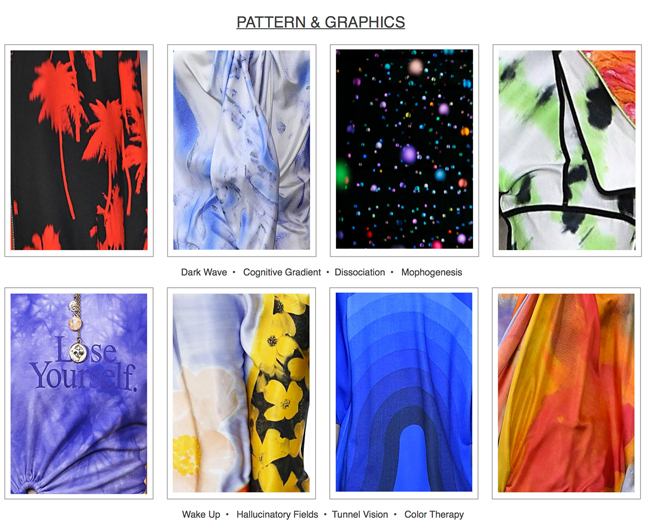 Revealing the creation of the invention, notions of raw technology embrace the prototype phase of design. Designers like Axel Vervoordt reflect the elemental aesthetic of the trend as we merge ancient antiquities and modern minimalism. Advancements in technology give us clearer insights into the beginning of time, as we continue to reveal hidden secrets and treasures of the world. 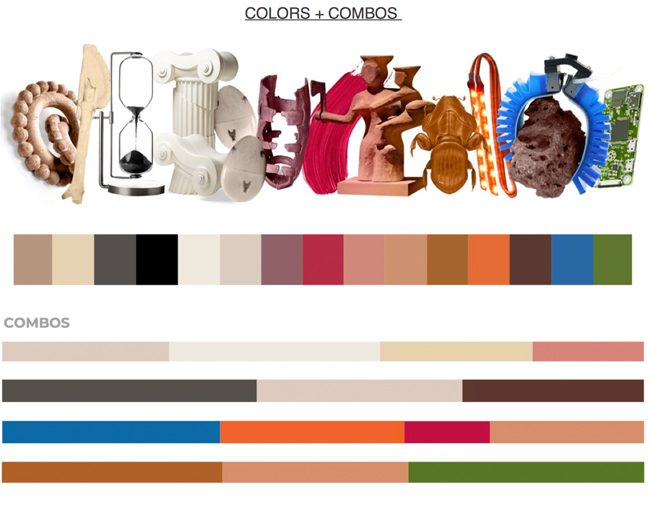 Genesis is derived from the macro trend Life 3.0. Life 3.0 is not a science fiction conversation, it is the conversation of today. Artificial intelligence is the most important topic of our time. As living creatures, we are limited to our biological hardware. Technology is limitless, and this is the horizon for which we need to prepare. The impact of robotics in all forms will likely be the most important agent of change in the 21st century, transforming our economy, culture, politics, and the self. IoT (Internet of Things) has already demonstrated how smart homes, vehicles, and Artificial Intelligence (AI) companions improve our daily lives, anticipating our needs by learning our habits. Materials: Pulling reference from ancient elements and modern biotechnology, the most innovative of materials balance both past and present. Synthetics are recycled and naturals regenerated into new materials that tell a meaningful story about the people and places they hail from. Material origin is essential to this story, as the focus shifts towards naturally occurring elements that are sourced locally and ethically. 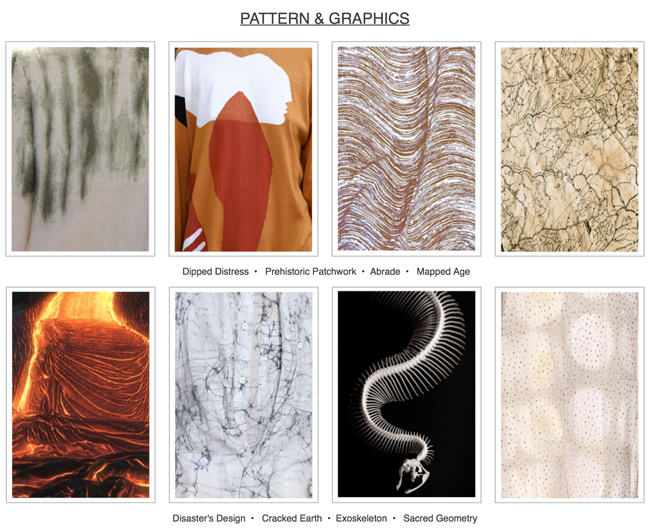 Examples of materials for Genesis include: skeletal elements, exotic skins, wild feathers, fragmented sheers, and silken chiffon. 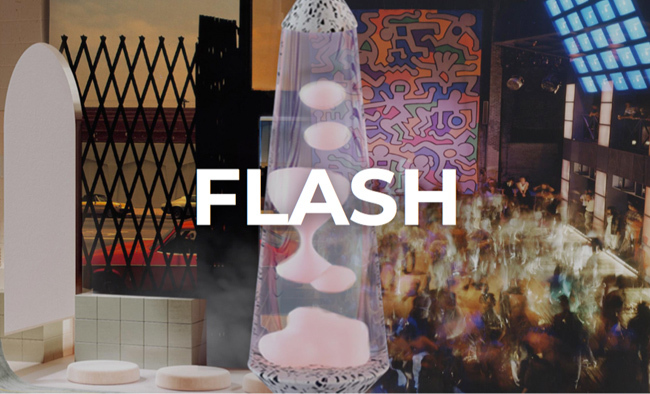 In Flash, the pulsating excitement of the 1980's influences a modern day look that's all about amplified color, sensual movement, and a fluid culture. The strong contrasts of the decade mean luxury and grit co-exist in a place that is as exciting as it is edgy. A renewed fascination with ballroom culture puts the focus on the many subcultures that exist on the fringe in order to have a place to belong. 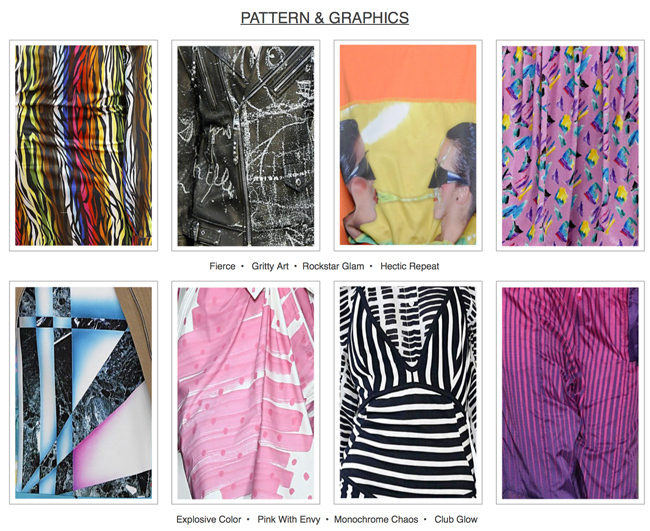 A fascination with the quirky charm of '80s Sci-Fi influences lustrous surfaces and pastel neons. Finally, a slew of today's designers show how the toughness of the streets can inspire a surprising level of softness and femininity. 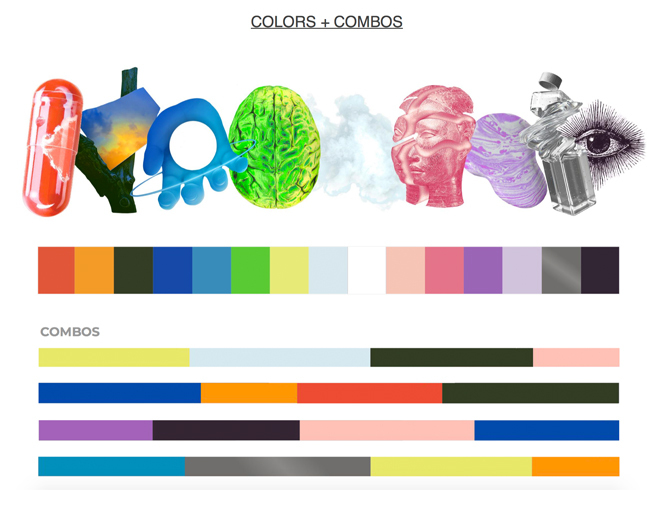 Flash is derived from the macro trend Selfishly Aware. Selfishly Aware looks at the cause and reaction of a growing portion of our lives being lived on social media. Being constantly connected leads to being constantly informed, which can be a positive thing when pertaining to increased awareness of global issues and using social platforms for good. Our visually driven culture has led us to the "Instagrammable design movement" where products and spaces are created with instant photo appeal to be shared on social media. We are living in a time when there are so many versions of reality, real life is labeled "RR" for real reality. 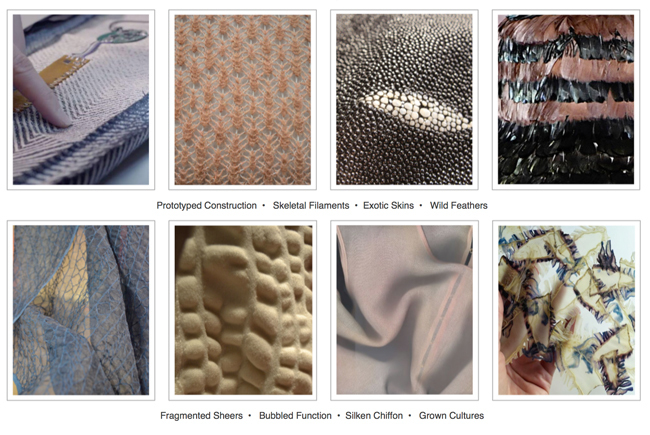 Materials: Drawing inspiration from the vibrant and pulsating era of the 1980s, dynamic materials and plush surfaces work to support the body everywhere from the dance floor to the boardroom. With an underlying party-ready spirit, showy metallics and glittered surfaces add a playful twist to everyday looks. We celebrate contrast as high glamour collides with hard edged styles for an explosion of aesthetics. 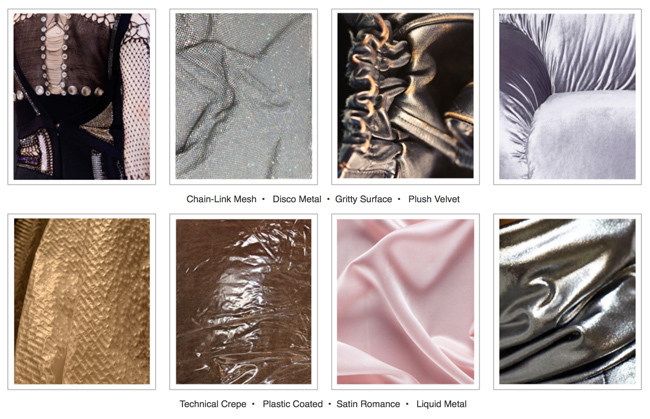 Key materials are chain-link mesh, plush velvet, satin romance, and liquid metal. 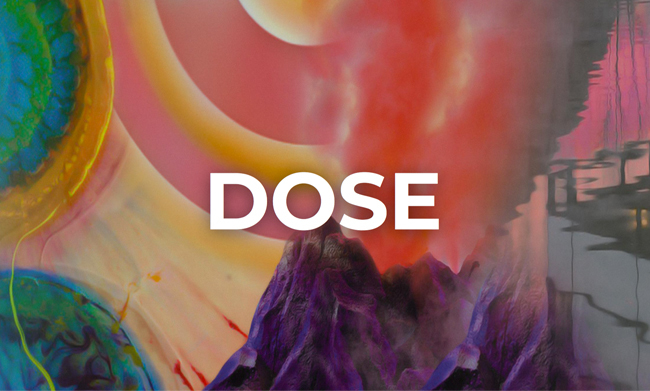 In Dose, we look to the pioneers of discovery and philosophical idealisms from early trailblazers who explored conversations between science and culture through psychedelic research journeys. 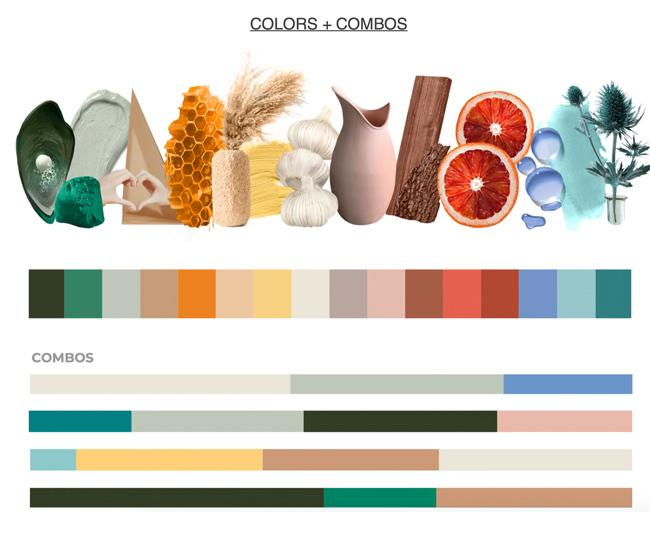 We take inspiration from modern mood research and its correlation to sensory experiences. How physical and mental stability can be improved through virtual adventures, augmented reality (AR) introductions and the growing influence of cyber networks that enhance consciousness and blur the lines of reality. Art that aims to break down boundaries gains traction, inviting the mind towards a new type of enlightenment. Dose comes from the macro trend Wow. It takes a lot to grab our attention today and even more to keep it. The physical world around us is competing with the digital world in our phones and computers. The entertainment, retail, art and marketing industries are seeing positive results from building immersive brand experiences, such as virtual and hybrid events, exhibitions, trade shows, and pop ups. The next level of wow factor is using cutting edge technology tools to deliver multi-sensory experiences that appeal to all five senses, creating loyalty and building emotional relationships with consumers. Customization is a key for the immersive physical retail experience, whether it's personalizing a product or the store tailoring the shopping experience to you through in-person service, augmented, and virtual reality (VR). Materials: A blend between psychedelic science and virtual reality inspires inspires a new generation of highly technical materials, engineered to provide the ultimate sensory experience. 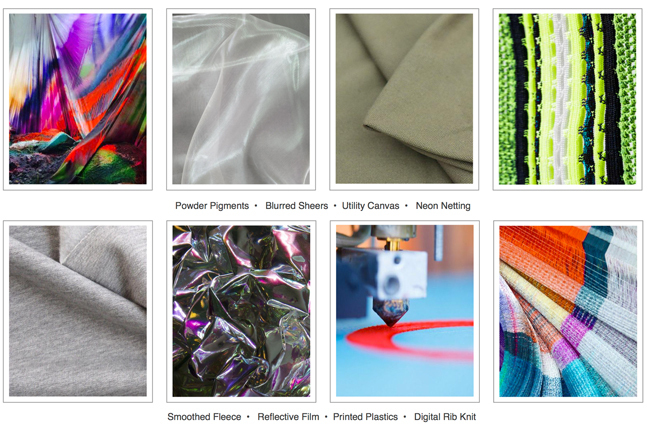 Synthetics are driving forces as the artificial becomes the new natural, innovations in 3D printing and dry dyeing render traditional production methods obsolete, and emerging technologies propel us further into a new future we want to create. Key materials are blurred sheers, utility canvas, smoothed fleece, and digital rib knit. In Ethos, we remind ourselves of the joys of being human. We embrace our emotions and find joy in the little moments in life, appreciating that the unexpected and unplanned often end up being the best. There's a continuing appreciation for craft and a new sense of minimalism that is arising through local design, one that actually speaks to a purpose. "JOMO" (Joy of Missing Out) is added to our vocabulary as we seek off-the-grid travel, slow living practices, and body positive thinking. Sustainability is taking on new forms with plant-based fabrics, and and increase in farm-to-table ingredients is found in beauty and health. Ethos comes from the macro trend Pursuit of Happiness. The global community is redefining what success means by challenging the traditional routes taken to get there. The flexibility of freelance culture and the idea of access over ownership contribute to the romance of a nomadic life. We are seeking rest and deeper life meaning during our vacations, thus, off-the-grid travel, retreats, and shared experiences are in demand. There's a dawning of consciousness emerging in the workforce. A renewed focus on work/life balance is becoming increasingly important. A key element to happiness are the experiences that are beneficial to our overall mental and physical health. Materials: Local craft is seen as elevated design, giving purpose and meaning to every raw material used. With emphasis shifting towards slow craftwork, we cherish traditional weaving and crochet knitting techniques to inspire a new generation of process-driven materials. Sustainability takes on new forms with regenerated organics and plant based fibers that showcase how imperfectly beautiful nature can be. 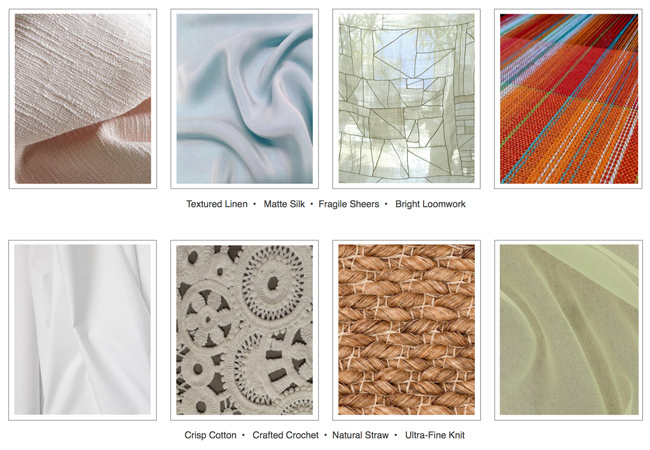 Key materials are textured linen, matte silk, crisp cotton, natural straw, and crafted crochet. This blog post is adapted from Fashion Snoops, is protected by international copyright laws, and may not be republished without permission. Students, please feel free to use this information for school projects as long as it's not reproduced or republished online and you properly cite both Fashion Snoops and The Key To Chic as sources. 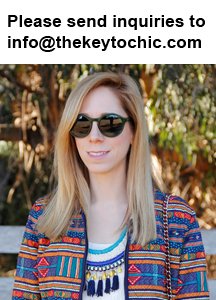 Keep up with my shopping and fashion adventures on social media @thekeytochic.